In July 1995 in Nome, Alaska, the Kingikmiut Dancers of Alaska took to the stage, moving to the beat of drums. This group from King Island, or Ukivok, had revived Inupiat songs, dances and drumming not seen or heard for more than 50 years since the United States Bureau of Indian Affairs closed the school on Ukivok, leaving the children to attend classes on mainland Alaska. By 1970, all King Island people had moved to mainland Alaska to live year round. Occasionally the Kingikmiut drummers stopped the catch the beat of songs they were relearning and the dancing stopped. But the Inuit audience in Nome cheered wildly, rising to join in with the dance. 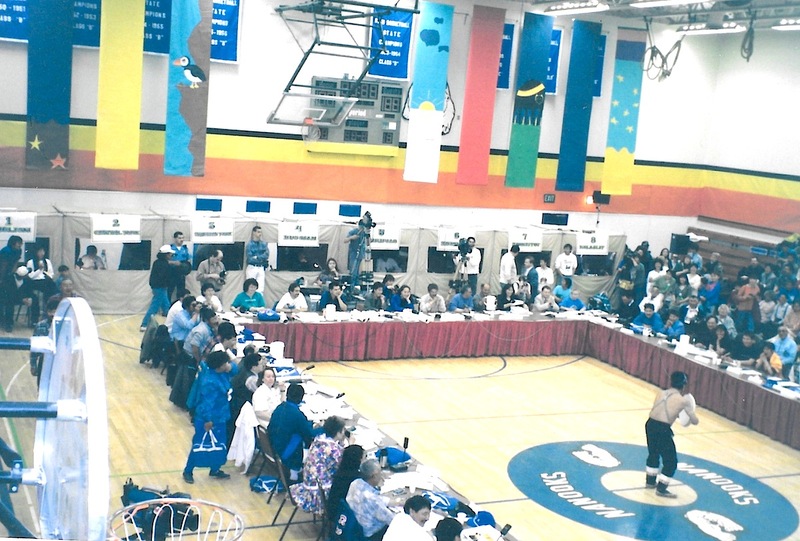 So did I.
I’d come to Nome because Inuit from Canada, Alaska, Greenland and Russia were there to discuss the Inuit way of life at the general assembly of the Inuit Circumpolar Conference (now Council,) representing the 150,000 or so Inuit living within four nation-states. Long white banners stretched above the main street in Inuktitut, Yupik, Inupiat, Greenlandic, French, English, Danish and Russian — the languages spoken by Inuit across the Arctic region. At the meeting, held in a local school gymnasium, he shards his vision of how Inuit from Russia to Greenland could be strong in their own backyards by working with private enterprise, not through community-based efforts. Ahmoagak’s speech, spoken in his all-American English accent, struck a positive note among delegates — but the view outside sent a different message to me. Nome’s wide main street, lined with flat wooden buildings, looked more like a frontier Gold Rush outpost than a modern town of 4,000. 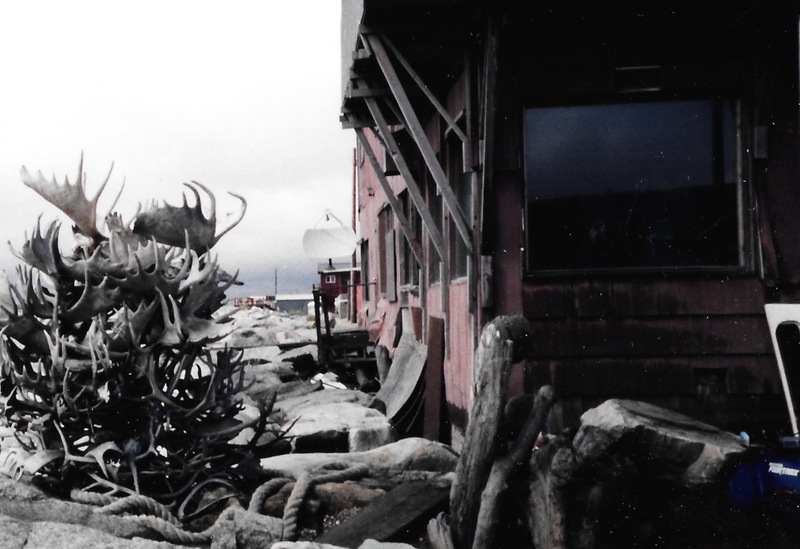 In Nome, unpaved roads, deep in mud, led through a maze of aging houses. “Nome is a great junkyard, perhaps the world’s greatest dump heap per capita,” a traveler wrote in the 1930s. Things were still pretty much the same more than 50 years later. As I walked around the rusting trucks, snowmobiles, pieces of mining equipment and whalebones strewn between the houses, I couldn’t help thinking that history can be hard to change. The Russian Inuit visiting Nome cried out for help: No one was paying salaries anymore, people had no money for hunting equipment and even small children were drinking. “It is a catastrophe. If we share our problems, maybe we can find our solutions,” said the deputy mayor of the Chukotka community of Provideniya to ICC delegates. Meanwhile, every evening the Polaris, which Nomites had dubbed “the hotel from hell,” offered a distraction from my own problems. In those pre-email days, work was driving me crazy because the four-hour time zone difference between Alaska and eastern Canada made it hard to meet deadlines or communicate with editors. Every day I went to the Polaris late in the evening when I couldn’t work any longer, usually sitting with members of the Canadian delegation and the Greenlandic cultural delegation. At the Polaris, a three-piece band always played country music under flashing Christmas lights. It was a lively place, with lots of beer flowing: A delegate from Labrador even passed out under the table one night. The Polaris Bar in Nome, Alaska, as shown on the website of the Polaris Hotel. When I stepped outside the Polaris, it was way past midnight, but the sun was shining brightly. I had more fun at the Polaris than back where I was staying, crammed into a corner on the floor with four other journalists: The contacts I make at the Polaris were lasting. As for the assembly, that was a roller-coaster, even more for me because I knew only a few of the players in 1995. 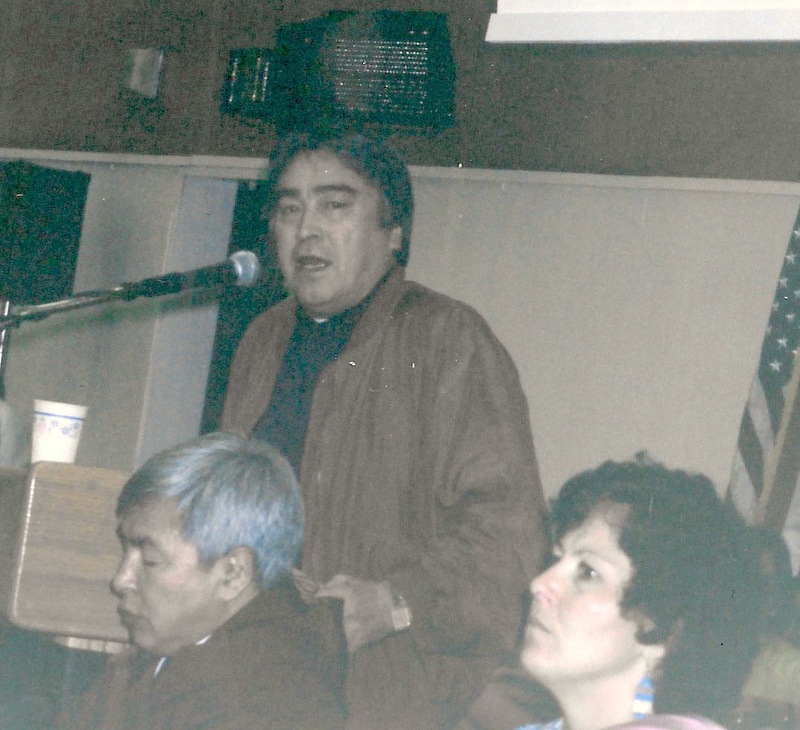 Aqqaluk Lynge of Greenland, a poet and politician, described by some ICC delegates as a man of strong contrasts and convictions, and by others as a “desperate and bitter” man, was set to become the international president of the ICC. But the Alaskans and Russians were uneasy about his socialist politics and reputation as a hard drinker. The Canadian Inuit promoted Rosemarie Kuptana as a compromise president —a Canadian who would promote unity among Inuit, they said. But Kuptana, who comes from the Inuvialuit region of Canada’s western Arctic, didn’t speak Inuktitut and Lynge, who spoke several languages fluently, played on that — “I will not be taken by the English language to adopt resolutions with ICC,” he told the ICC delegates in his pitch for votes. Lynge also urged delegates not to worry about the personal lives of candidates, as he suggested they vote with their hearts for the best future president. On the third ballot, Kuptana won. Later, in 1996, citing personal and health reasons, Kuptana resigned, and Lynge, then the ICC vice-president, assumed the position of ICC president that he was denied in Nome, remaining there until 2006. And in 2010 Lynge once again was chosen as ICC president. On the 13-hour charter flight back to Iqaluit in July 1995, I was sitting next to Lynge, whom I would get to know well only later. However, we didn’t speak at all. Lynge looked exhausted, muttered something I couldn’t understand, and crawled under a blanket to sleep for the entire flight. The next instalment of “Like an iceberg” goes live April 23. Did you miss the first blog post of “Like an iceberg”? You can find it here. I hate Nome drinking. I hate it. That bar is the worst. It is not who just drinks but who sells. Nome has a under current of corrupt people soaking in a bucket of vomit. Proudly. The level of dysfunction is grand. Just go up the coast a dozen or so miles and see a make shift town. Full of more drunks who pay to go there and drink. Finding gold is optional. But drinking is the norm. And no different than the bars in Nome. I feel for the people who subsist. A once quiet comfortable fish camp is now drowned out by loud bagpipes, heavy equipment and drunks from all over the world who pay drink and try and find gold. Nome is disgusting. And their “pioneers” are even worse. They hide their hidious drinking by pointing at the local First Peoples population. Thanks but, no thanks. Nome likes to squash healthly things.